Columbus is famous for sailing the ocean blue in 1492, but he is also notable for introducing cigars to Europe. During his voyage, Columbus landed in Hispaniola (the island shared by Haiti and Dominican Republic), and Cuba where he was presented with tobacco and cigars. After he returned home and shared his new discovery, cigar smoking spread wildly throughout Europe. Over the next few centuries, the cigar industry flourished. In an effort to escape the Ten Years’ War, cigar manufacturers in Cuba relocated to Florida, and later New York. The expansion of cigars eventually waned. Cigar sales were stagnant until the five-year cigar boom in the mid-1990s, which later busted in 1997 due to manufacturers’ inability to keep up with high demands. There is an art to cigar smoking. When selecting a cigar, it is useful to know some main facts. 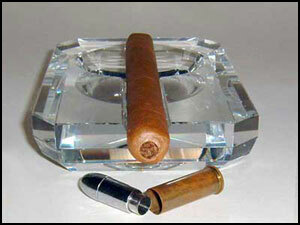 A cigar has three basic components, the filler, binder, and wrapper. The filler makes up the majority of the cigar and produces significant amounts of the flavor. It’s made up of bunched up blends of tobacco leaves. There are generally two kinds of fillers; short and long. Short fillers use chopped leaves and stems and is low quality. Long fillers use whole leaves and are high quality. Short fillers are easily recognized because bits of leaves tend to release in the smoker’s mouth. Binders are leaves that bind the fillers together. Binders are just flawed wrappers. The wrapper is the outer layer of a cigar that is wrapped around the filler and the binder. Generally, the darker the wrapper, the stronger the flavor and vice versa. Cigars are categorized as full, medium, or mild bodies. Body refers to the strength of the smoke. 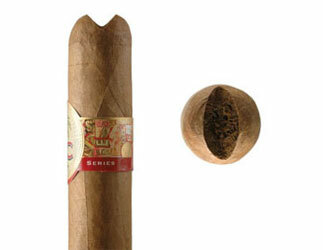 Full-bodied cigars are strong, while mild-bodied is gentle. David Alicea, cigar enthusiast says that cigar selection depends on the kind of drink or food it is accompanying and the smoker’s mood. The “Guillotine” or Traditional cut– this is a standard cut that slices straight across the tip of the cap. The large opening allows air to easily circulate. However, the wide space allows tar and tobacco to get into the smoker’s mouth. 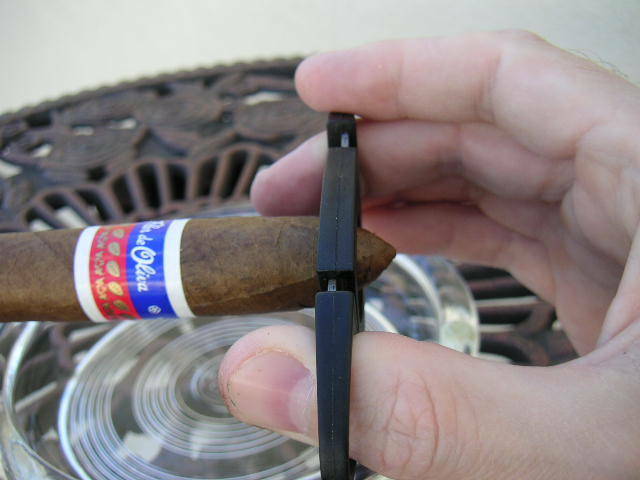 The “Bullet” cut or “Punch” cut- this cuts a hole into the cigar cap reducing the chance of tar and tobacco release, but the small opening is easily clogged. The “V” cut- this cuts a wedge into the cigar cap creating a “V” shape which protects the smoker’s mouth from tar and tobacco. After cutting, the next step is to light the cigar. This process shouldn’t be rushed. Since tobacco tend to absorb odors that touches it, only Butane lighters and wooden matches should be used to light cigars. Flames from a chemical based lighter or match can negatively affect the taste of the cigar. The tip of the cigar should come in little contact with the flames to keep from burning the tobacco. Slowly rotate the cigar over the flame while the tobacco toasts. Gently puff and continue to rotate until cigar is evenly lit. “A cigar shouldn’t be lit like a cigarette, you shouldn’t have the cigar in your mouth while lighting it, you should gently cook the tobacco”, said Alicea. Unlike cigarettes, cigar smoke should NOT be inhaled. 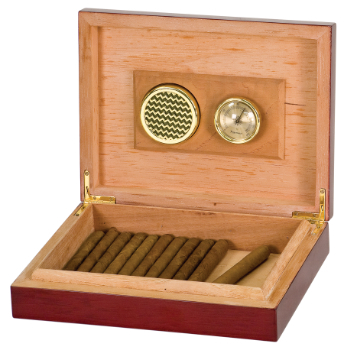 Cigars are delicate and should be stored in a controlled environment. Humidors, containers made from cedar wood, are typically the best way to store cigars because the cedar aids the flavoring and aging process, while controlling the level of humidity. Keep in mind that cigars contain tobacco, which poses health risks. “All cigar and cigarette smokers, whether or not they inhale, directly expose their lips, mouth, tongue, throat, and larynx to tobacco smoke and its toxic and cancer-causing chemicals”, according to the National Cancer Institute.